The Petro company group develops and supplies burners and combustion equipment. We offer a range of environmentally friendly, high quality products that have low maintenance and operating costs. Our vast experience and technical know-how is always at hand to increase our customers’ profitability. Our customers include suppliers and owners of combustion plants throughout Sweden and abroad, suppliers of waste incineration plants, shipbuilders and other industries. The Petro company group develops and supplies burners and combustion equipment. We offer a range of environmentally friendly, high quality products that have low maintenance and operating costs. Our vast experience and technical know-how is always at hand to increase our customers’ profitability. The world’s energy resources are finite. 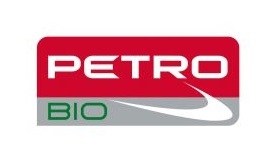 The Petro company group has taken on the environmental challenge to carefully convert a wide range of fuels – exhaustible as well as renewable – into energy for industrial, commercial and domestic usage. As a responsible business partner, we seek not only to optimize energy production, but also to reduce negative impacts on the environment. Our program of research and development combined with our product design and manufacturing technology, help to reduce impact on the environment caused by pollution. Our attention to detail ensures a range of products that comply with the strictest of air emission requirements. Since its beginning in 1964, Petrokraft has been active in developing and supplying heavy fuel oil burners for a wide range of applications. Customer types include power companies, county councils, ship-owners and various industries, whilst applications range from power plant furnaces to district heating stations. One of the earliest products, the PETRO Low-pressure Air Atomizing Burner, was designed in the early sixties. Thanks to its robust construction and high quality design, it is still to be found in many combustion systems around the world. We provide a prompt and efficient spare part delivery service that ensures that even these original burners are still going strong. Increased environmental awareness and a demand for higher output capacities resulted in our PETRO Rotary Cup Burner being developed ten years later. This environmentally friendly and reliable burner has for the last 20 years also been sold to the Japanese marine market. Today it is installed in boilers on many vessels sailing under various international flags. Further product development resulted in the PETRO Lance Burner with the capability to burn either gas or oil. This burner provides customers with an economical means to convert existing installations into efficient Low NOx combustion. Our comprehensive development program offers design, manufacturing, installation and commissioning of burners, fuel/air distribution systems and control equipment for oil, gas and pulverized bio fuel. Since their foundation, the Petro company group has been privately owned by one of the world’s leading ship-owners. This stable platform has supported a developing business strategy and resulted in long-term partnerships with our customers. Business partners regard us as a reliable supplier delivering efficient customer-designed and economical solutions. We contribute globally and localy to a better enviroment and better climate for future generations. Petro shall on selected markets be the customers prefered choice when investing in enviromantal and climate improving systems.